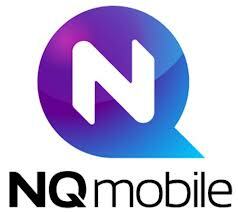 Brad Gerstner‘s Altimeter Capital Management has once again upped its stake in NQ Mobile Inc (ADR) (NYSE:NQ), according to a recent SEC filing. Now the company has further increased their position to 37.6 million shares, which represent 17.3% of all outstanding class A common stock. Just last week we reported that Altimeter had increased its position in NQ Mobile to 21.47 million shares from the 18.47 million shares the company held in December of last year. This time the fund has expanded its holding through 16.17 million units held under the rights to purchase additional shares. The stake is owned in the form of American Depositary shares, each representing five shares of class A common stock. NQ Mobile Inc (ADR) (NYSE:NQ) is a leading global provider of mobile Internet services. Recently, the company entered into an agreement with Sprint (NYSE:S), to “deliver the next generation of Sprint ID, powered by NQ Live™, on all new Sprint Android-powered smartphones in the U.S.” More material to investors, however, is the fact that NQ Mobile Inc (ADR) (NYSE:NQ)’s stock is up an incredible 175% over the past year. Altimeter Capital Management primarily invests in the services sector with some holdings devoted to technology. In the fund’s $756 million equity portfolio the largest holdings are represented by Priceline.com Inc (NASDAQ:PCLN) and Delta Air Lines, Inc. (NYSE:DAL), the two positions account for more than 36% of the fund’s equity portfolio, and contain around 150,700 shares and 5.43 million shares respectively. Looking at other funds who are long NQ: At the end of October, Longbow Securities, revealed a stake of 8.04% in NQ Mobile Inc (ADR) (NYSE:NQ), but quickly vacated their position. CR Intrinsic Investors, a subsidiary of SAC Capital, owns 616,455 shares of the stock, with a reported value of $13.43 million. Steven Cohen’s SAC Capital Advisors, currently owns 564,841 shares, worth $12.31 million, and Espalier Global Management, led by Wojciech Uzdelewicz, currently holds 482,800 shares with a reported value of $10.52 million.